Certainly shaping up to be a very nice release from Yagya. In May 2014, Icelandic producer Yagya will release his fifth album, Sleepygirls, across three slabs of vinyl and one mixed CD on Dutch label Delsin. It’s a deep, spacious and dubbed out affair that stays locked at a pleasingly sedentary tempo throughout. Since 2002 the definitive member of the Thule Musik collective has been crafting lush electronic albums under his Yagya alias and always manages to find pure bliss and beauty and his simple, nature inspired soundscapes. He deals exclusively in full lengths and to date they have come on labels like Sending Orbs, Force Inc. and Subwax Bcn. The album is a fine fusion of tropes from Yagya’s earlier albums, features jazz instrumentalists that improvise beautiful melodies over monotonic, almost drone-like, techno beats and also uses live recordings of Japanese vocals, saxophone and guitar to counter the repetitiveness of the rhythms. Right from the rolling bliss of the opener, you’re suspended in a womb like pillow of sound that is soft, warm and serenely beautiful. As tracks roll on, the pace stays the same but themes vary from upright and summery to more elongated and insular. This is natural, organic dub that is a delight and a pleasure to listen to. The vinyl versions of each track have been specially mixed with random LFOs, sonic quirks and unique fingerprints making them the subtly different to the CD version, but overall this is a brain soothing and mind melting album that can soundtrack lazy days, long summer afternoons and warm winter evenings in equal style. Special cd album alert! 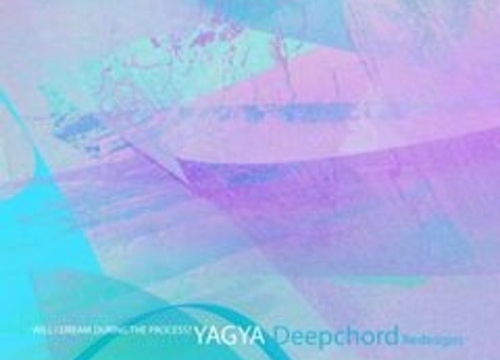 Subwax Bcn is very proud to present a unique collaboration between two of the worlds finest dub techno/ambient masters Yagya and DeepChord. Strictly limited to 200 copies. A very ambitious project from Yagya see’s him doing something a little different from the usual Dub Techno release. His latest album comprises of mostly vocal tracks, with a slightly more pop sounding vibe to the album, some people may feel somewhat let down from the previous, beautiful style of dub techno we have all grown to love from the man. I personally think Yagya has retained some nice elements that we are so use to hearing in dub techno tracks but still manages to make these tracks radio friendly so to speak. The use of vocals works really well with the tracks, on a few however I feel they have just been laid over the track for the sake of it. Luckily, if like me, you prefer your dub without a lot of vocals there is the instrumental cd bundled in the album too. I was very happy of this. Not that I didn’t like the vocal tracks its just that for DJ use I prefer not having vocals and sometimes when I just want to make my mind drift I find vocals distracting. Another quite unique thing about this album was that there appears to be a live action music video for one of the tracks (Tears will fall). I was really surprised to see this as it’s something i have never seen for a dub techno track before. @steiniyagya i was shocked to see a full music video for a dub techno track!!! with vocals too…wow! when can we expect a EU release?